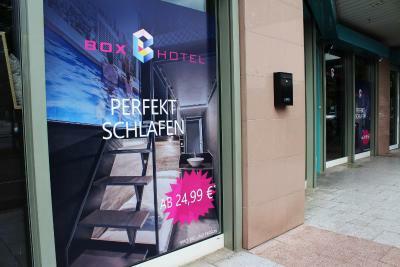 Lock in a great price for BoxHotel Göttingen (App Based Hotel) – rated 8.1 by recent guests! Yes, the rooms are small & rather like a jail cell with the layout & cement walls. But, the lighting system is adjustable & very soothing. The beds & linens are very cozy, and the air conditioning is comfortable. The room was very clean, and bonus, they provide towels. The staff were great—very friendly & accommodating. It is practical for someone lime me travelling that need to rest one night. It was exactly what it said....a box. But definitely value for the price. Staff are friendly and you don't really need to download the app - when I got there they just gave me a keycard. This app thingy seems more of a gimmick. The single room was great. The wifi was probably the fastest I have experienced while traveling. 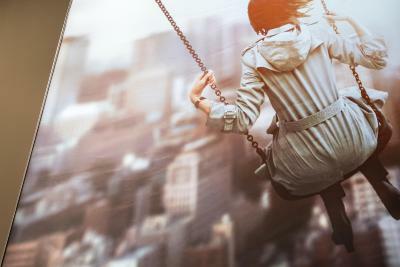 The location was only about 5 mins walk from downtown and 5 mins from main train station. 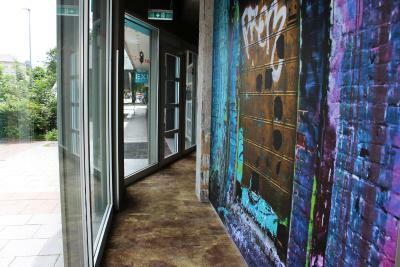 Easy to find, centrally located near city center. Very modern, excellent concept and systems. 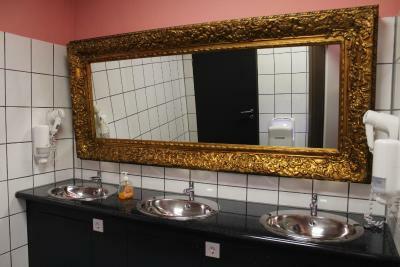 One of our best sellers in Göttingen! 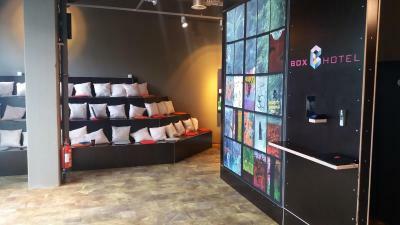 Boxhotel Göttingen is an innovative, app-based micro hotel in Göttingen, located opposite of the University of Göttingen and 800 feet from Göttingen Central Station. Your whole stay at this hotel is organized and managed via a smartphone app. 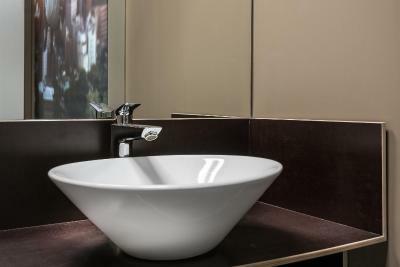 Every room is fitted a sink. Some rooms offer a private shower, while others come with a shared bathroom. 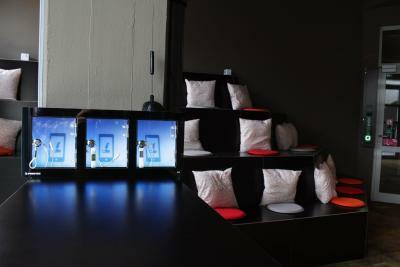 The BoxHotel-App replaces the classic reception and room key with your smartphone, using a dedicated app and Bluetooth. Old Botanic Garden Goettingen is 1,000 feet from Boxhotel Göttingen, while German Theater Goettingen is 1,950 feet away. Kassel Calden Airport is 25 mi from the property. 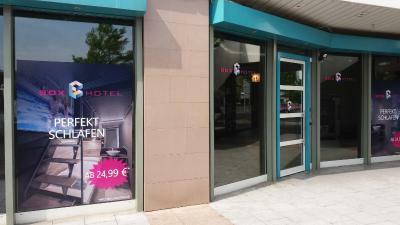 Nordstadt is a great choice for travelers interested in walking, atmosphere and culture. 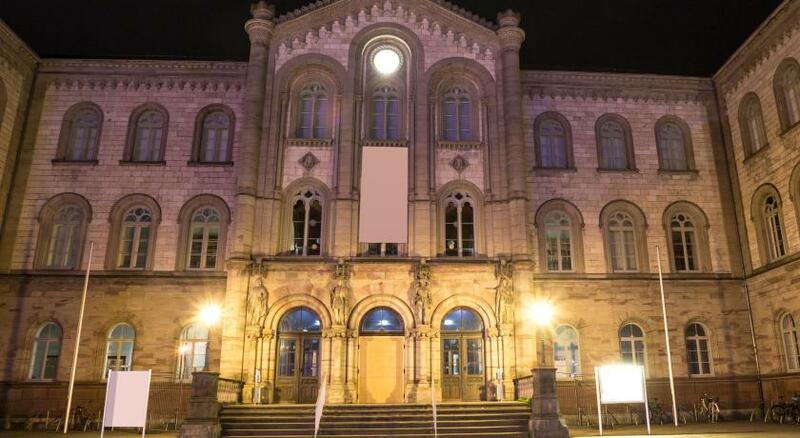 This property is also rated for the best value in Göttingen! Guests are getting more for their money when compared to other properties in this city. 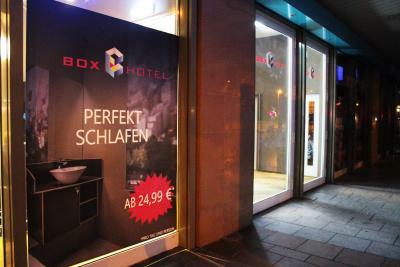 When would you like to stay at BoxHotel Göttingen (App Based Hotel)? 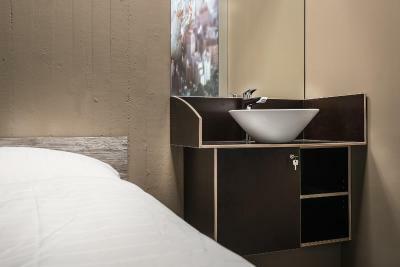 This air-conditioned sleeping box features 2 single beds on 2 levels, a sink and a private shower. In case of single use, the lower bed can be used as a sofa. Public parking is available at a location nearby (reservation is not possible) and costs EUR 0.70 per hour. 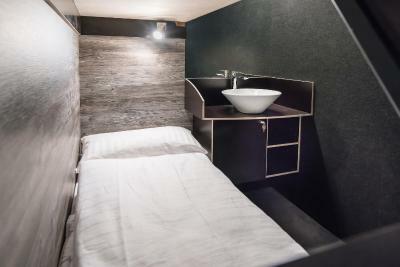 This air-conditioned sleeping box features a single bed and a sink. 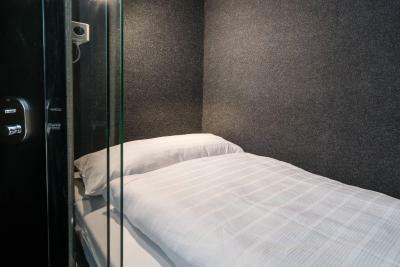 This air-conditioned sleeping box features 1 large single bed (47 in wide) on the upper level and 1 single bed (31 in wide) on the lower level. It also offers a sink. 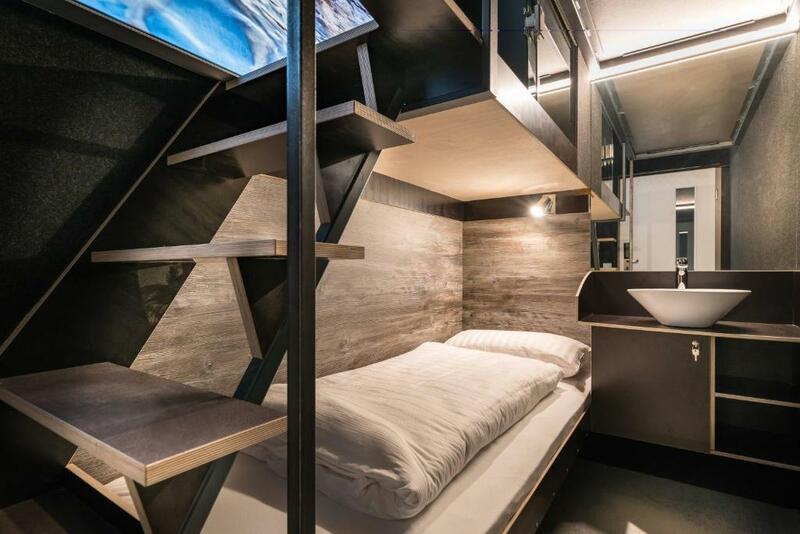 This air-conditioned sleeping box features a bunk bed for 2 people and a sink. 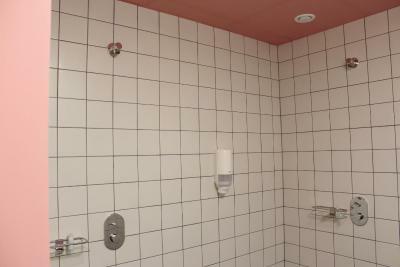 Showers, toilets and hairdryers are available in the shared bathrooms. High-speed WiFi is also provided free of charge. Hotel surroundings – This neighborhood is a great choice for travelers interested in walking, atmosphere and culture – Check location Great location - show map Guests loved walking around the neighborhood! 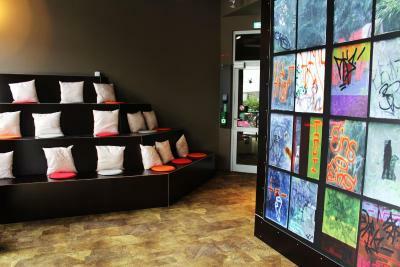 House Rules BoxHotel Göttingen (App Based Hotel) takes special requests – add in the next step! 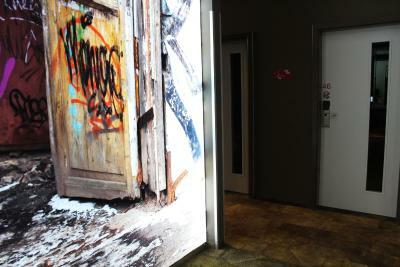 Please note that you need to download the BoxHotel app on your smartphone to arrange your stay at this property. Check-in, payment, room access and check-out take place via the app. Please note that there is no reception at this property. However, a staff member is available from 09:00 to 23:00 to assist you. Great value for money, clean, decently comfortable beds and cosy shower in the double room. 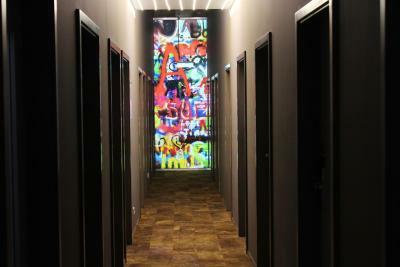 One drawback, the hostel is adjacent to a club, so at night the music is kinda disturbing. It didn’t ultimately interrupt my sleep, but I wasn’t thrilled. There’s a fantastic cafe at the corner that has a great brunch on weekends, and supposedly they offer a discount for hostel guests. Our group did not get this discount because, apparently, we were supposed to tell the server upfront. 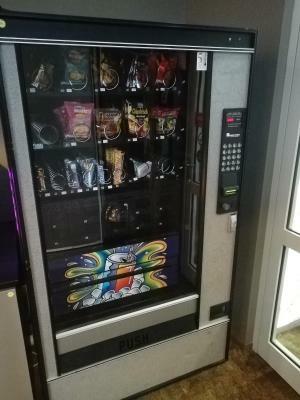 Can’t do anything about it, and not the hotel’s fault, but annoying nonetheless. The price is reasonable for the facility they provide. Location is great. The staff is friendly and very helpful! we can hear the neighboors Talking late! The fact, that peolple from outside can watch me goin to the bathroom in the morning or at night. And you could hear the doors from the other boxes slaming. 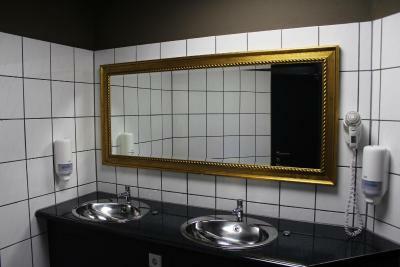 - Not so good bathroom privacy (open shower room, gym style). - Really, really small room. - There isn't a proper lounge room (there is only space on reception). - Good room privacy. - Comfy bed. - Tidy details. The pillows were very uncomfortable. Also we should have the option to chose between a thick or thin blanket, as in the night the rooms got really hot, yet there was only the thick blanket available. The person on the 10th of March evening was really nice and assisted tremendously in finding good restaurant, etc. What I didn't like was the showers. They are a joke. I had to walk passing the "front desk" in order to take a shower. Also, there are no individual shower cabins and the water was coming in warm-cold waves. This should be improved. BoxHotel was rather a pleasant surprise. Considering the price, I was expecting worse. The rooms can hardly called rooms, so the word "box" describes them better. However, they are clean and cozy, so you don't feel the need for more. I had a very good sleep. Also, the internet works well. There is nothing for put things in the shower, so it’s hard to take a towel or shampoo with you. Very inspirational design! I choose the twin-room with a shower, with this kind of cabin you can take a simple shower in the room and don’t need to go to public bathroom (but still need to go to the public toilet). 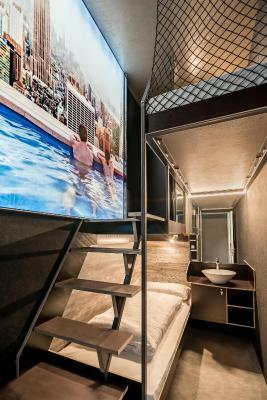 And with a nice utilization of space there is two single bed, and for a solo traveler you can use one as sofa. It’s a very economic choice. The showers in the shared bathroom do not have any doors or curtains. 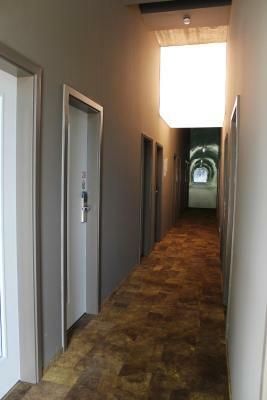 The rooms have very little sound-proofing (can hear things in neighbouring rooms, the hallway, and music from the club next door really well). Great location, easy check in and check out, clean, room was comfy. 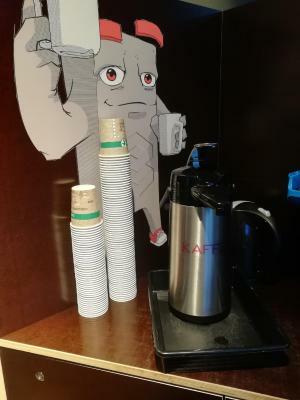 Free coffee, tea, and soda water. 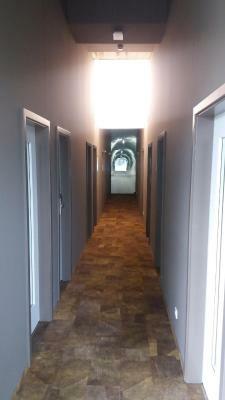 The shared bathroom was a long way away from the bedroom, via several corridors. Shower took a long time to get warm as well. Great location and staff. Rooms were very clean.